The Nickley Group is one of the Orlando Metro Areas Premier real estate teams with the target of selling over 300 homes in 2017. 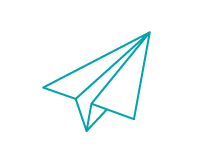 Our teams combined experience, structure, marketing plan and systems are unlike anything in the industry. We have 9 buyers agents, 2 listing agents, an inside sales team, a full time marketing guru, and full time operations expert, a listing coordinator and a client care coordinator. Our team is successful because of our combined experience, strengths, professionalism, and the fun we have at doing what we love. We maintain a professional yet friendly relationship with every client that we serve, throughout the entire home buying or selling process and for years to follow. We truly believe in developing relationships for life. Lack of communication is the #1 reason people don't go back to the same Realtor. We've developed a unique home selling process that is an unparalleled experience for our clients, from the day we meet them for the first time until the day the home is sold. We don't just help people buy and sell homes, we create relationships that last a lifetime. As for the fun part, every member of our team loves what they do, so it doesn't feel like work. Our team is approachable, down to earth, and puts people before profits. As a team, we sincerely care about your goals and want to arm you with the necessary tools to achieve optimal results when it comes to buying or selling your home. Take a look around our site to learn more about how we can benefit you. We bring experience and an amazing track record to the table to help you sell your home or to get into your next home, or both! We look forward to hearing from you and having the opportunity to earn your business and help you achieve your goals. The Nickley Group at Keller Williams at the Parks will sell over 300 homes in 2017, which is over $75 million in real estate. We are the fastest growing and one of the top producing real estate teams in Central Florida. I don't tell you this to impress you, but to impress on you that our systems flat out work! Thanks to our time-tested, multi-tiered approach to selling real estate, you can count on The Nickley Group to attract the most buyers, sell your home for the highest price possible, in the least amount of time. Unlike any other team in the Greater Orlando Area, our market exclusive ONE DAY LISTING GUARANTEE allows you to fire us at any time if you're not happy with our services. If you're like most sellers, you worry about being locked into a lengthy listing agreement with a less than competent real estate agent, costing your home valuable time and exposure on the market. Well, worry no more. We take the risk and fear out of selling your home with a real estate agent. I will not lock you into a 12 month contract or even a 6 month contract. If you are not completely satisfied with our services and marketing techniques, after just 1 day, just FIRE US! You sign a listing contract with us for just 1 day. That means if you don't think that working with me and my sales team is your best option, just call me and tell me at any time to just take a hike! I feel confident that after meeting with me, you will see that we have one of the best marketing plans in the Greater Orlando area! You can cancel your listing literally the next day if you choose, if not, it's a day to day contract. You can relax knowing that you are not locked into a lengthy contract. You can enjoy the highest caliber of service from professionals confident enough to make this offer. The only way I can feel comfortable and confident offering this exclusive program is after years of perfecting the most marketing plan on the planet. I am so confident in our marketing plan and sales systems that it never varies, whether you have a smaller home or a luxury mansion, the plan is the plan and it flat out works! One of the biggest dilemmas when selling a home is deciding whether to hire a real estate agent or try to do it yourself. Hiring the wrong real estate agent is risky because your home could end up sitting on the market for a long time without an acceptable offer or you could be forced to sell and compromise your bottom line. You could even end up owning two homes or none at all!! Well, the Guaranteed Sales Program solves this dilemma. When you list your home with our team, you may receive our written guarantee that we'll sell your present home at a price and time frame acceptable to you or we will buy it or sell if for free - your choice. Obviously, there are limitations and this program is not available for all homes. Unlike the typical investor, my goal is NOT to own your home, but to sell it for the most money that the market will bear. If you would like more information or to see if you qualify for one of our Guaranteed Sales Programs please fill out the form below or call us immediately at 407-495-2252. A commitment to continually develop new marketing strategies has enabled The Nickley Group to become one of the top real estate teams in the country. Less than 1% of real estate agents go to the lengths that we do in marketing our clients homes, which explains why so few agents in the country get the results that we do. Traditional passive methods of selling (i.e. waiting for buyers to come to us) are NOT nearly as effective as contacting buyers or their agents and convincing them to look at your home. 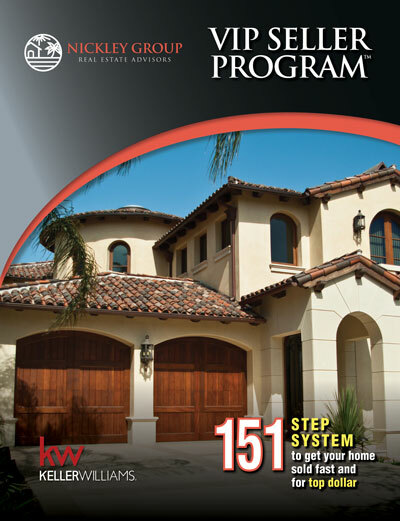 Our pro-active marketing plan contains 151 Steps that are geared toward one purpose - getting your home sold! We are so confident in our 151 Step Marketing Plan, that we offer incredible guarantees to our clients, such as the exclusive Guaranteed Home Selling Program. With this program, if you don't sell your home at a price and terms we agree on, I'll buy it. There is also the ONE DAY LISTING GUARANTEE, which is our 100% satisfaction guarantee for sellers. And for buyers interested in buying your property, we have our Love It or Leave It Guarantee, which reduces the stress and risk involved with buying a new home. For free, no obligation information on our 151 Point Home Selling System as well as a copy of our Maximum Payoff Guide for Sellers, contact us at 407-495-2252. Don't be fooled by agents who are willing to list your home at any price. When you work with our team, we will complete an extensive Current Market Analysis (CMA). We will mutually determine the real value of your home and then will determine if it makes sense for us to work together. To get access to the most accurate value for your property, please fill out the form below or call us for immediate access: 407-495-2252 or CLICK ON THE LINK BELOW TO VISIT OUR AUTOMATED PROPERTY VALUATION TOOL. Get a FREE Automated Home Valuation NOW!!! It felt effortless. Everyone at the Nickley Group was always there for me whenever I needed help or had questions. My house sold just days after listing! I will be recommending Nickley group to everyone. Jeff Wernsing our realtor from The Nickley Group was very informative and patient with explaining the process. He was very accessible for any questions or concerns we had. He went over all the options available to us and helped us decide what steps to take to move the process along. He made this as pain-free and stress free as possible. I would recommend this group to anyone who is selling or buying a home. After being in our home for 35 years, selling was a daunting and somewhat apprehensive experience. Alexis and Jeff eased the pain tremendously and guided me through all my apprehensions, making suggestions and solutions that made the process bearable. I would highly recommend this team (and company) to anyone looking to sell or purchase a home. Also my thanks to Haley for keeping me up to date with the process. They were top notch. Very responsive to all my questions, and they did a great job in laying out not just what we needed to do to sell for top $ but also tips and checklists to make the process smooth and painless. 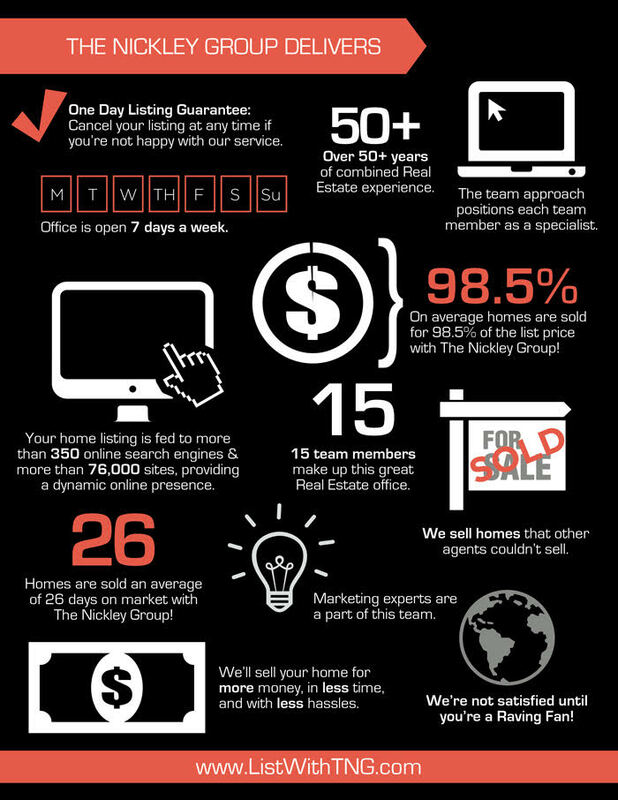 I would highly recommend the Nickley Group to anyone selling their property! Shaun Ross with The Nickley Group did a great job helping us with the sale of our house. His market analysis was spot on and he was very helpful throughout the entire process. From staging to marketing, and sale to closing, Shaun was involved every step of the way. He is professional, knowledgeable, and always followed up with the buyers' agent after each showing. We highly recommend Shaun and The Nickley Group if you are buying or selling a home. We worked with Tiss Morrell as our listing agent for a house we sold. She was very helpful in answering all of our questions, and immediately responded to all of our questions. Her negotiation skills were very impressive as we went back and forth with the buyers, and we came to the solution that both sides were happy with. Haley was superb in expediting the sale, from the MLS all the way through to closing. We will definitely be using them and the Nickley Group as we find our next house! Jeff Wernsing and everyone at The Nickley Group were very helpful in leading us through the selling process. He informed us of other homes in our area and their selling price; then he helped us determine the asking price for our home. The whole process from the start through closing was handled professionally and with personal care. I would certainly recommend Jeff and the Nickley Group. The Nickley Group was amazing with helping my family sell our house in two weeks. Haley and Jeff were very knowledgeable and always available to answer questions. Now we're working with Tiss to help us find our dream home. This team was beyond amazing and accommodating. When a last minute flight cancellation created difficulties, this team went above and beyond to ensure that I would still be able to close as planned. They took the stress right off of my shoulders and I assured me all would go well. And it did! Thank you 1 million times over! !